A new ad campaign that aired Tuesday morning has jump-started Washington's stalled debate over the 340B drug discount program again. The ad is aimed at President Donald Trump and a specific proposal known as "patient definition" that has been floated in the administration's drug pricing blueprint. HHS outlined the idea in its request for information, but the proposal has also been championed in the U.S. House of Representatives by Rep. Chris Collins (R-N.Y.). In the new ad, a group of older adults including a man wearing a red ballcap with Trump's signature Make America Great Again campaign phrase watch a television screen where Trump with HHS Secretary Alex Azar at his side announces the administration's drug pricing strategy. As Trump talks about lowering prices, the people nod in agreement. They examine a blueprint in their hands that is branded with the Pharmaceutical Research and Manufacturers of America (PhRMA) logo and shake their heads. A voiceover says: "But now, big drug companies are trying to roll back 340B drug discount program, hiking drug prices for seniors." The man with the Make America Great Again hat closes with a flash of text that reads: "Please don't let Secretary Azar roll back 340B and raise drug prices on America's seniors." The group behind the ad is 340B Matters, which was formed in 2016 and is described by a spokesperson as a coalition of "industry stakeholders concerned about the future viability of the 340B program and the financial savings it provides to safety-net healthcare providers and their patients." As of press time the spokesperson did not clarify whether the stakeholders involved are hospitals or contract pharmacies but said the ad is "an appeal to President Trump." 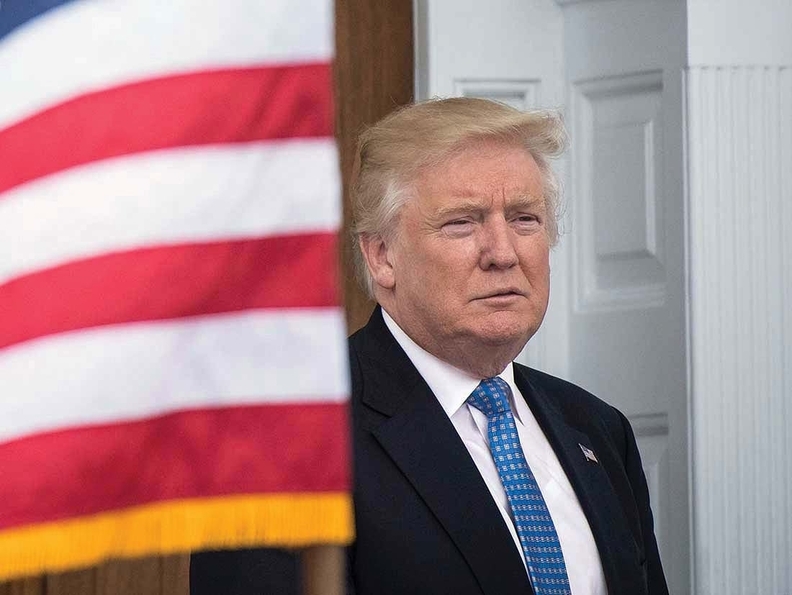 The campaign comes ahead of the administration's next move on the 340B program, and also as Congress' debate over the program realigns following last week's Democratic sweep of the House majority. Republicans of the House Energy & Commerce Committee were leading the charge on an overhaul of the program to slow recent massive growth of the program after the committee's oversight panel released a report last January that recommended more accountability for the hospitals involved. That report came on the heels of HHS' slash to Medicare Part B drug reimbursements for 340B providers. The hospital cuts started in 2018 and spurred an ongoing legal battle between major hospital groups and the Trump administration. Over the summer HHS proposed extending those cuts to outpatient facilities. In what became a high-pitched lobbying battle between Pharma and providers, House Democrats have largely taken the side of the hospitals as committee Republicans started to probe claims the expanded program has spurred provider consolidations and acquisition of oncology practices. The financial stakes for both the drugmakers that offer the discounts and the hospitals that receive them have escalated since Obamacare expanded 340B eligibility to include critical access hospitals and rural centers and Medicaid expansion essentially transformed more providers into Medicaid disproportionate share hospitals, which also qualify for the discount. In July, the Government Accountability Office (GAO) released its review of 55 340B provider surveys out of the 60 sought. Thirty of these offer discounts to low-income, uninsured patients at some or all of their contract pharmacies. Of those that do, only 23 said they pass along the full discount so that their low-income or uninsured patients pay the 340B price or less for their prescriptions. Eleven of these gave discounts to all patients. Contract pharmacies have also proliferated in the 340B space. The GAO found that nearly 70% of 340B hospitals use at least one contract pharmacy to dispense 340B-discounted drugs, with an average of 12 contract pharmacies per covered provider—although for DSH hospitals the average was higher at 25 contract pharmacies. Since 2010 when the Health Resources and Services Administration (HRSA) lifted original restrictions on 340B providers' use of contract pharmacies, the number of pharmacies within the program have increased from about 1,300 to about 20,000, according to the GAO. Advocates for keeping status quo for the drug discount program say that Pharma spending is minimal and helps to fund care and special programs for poor and uninsured patients as well as to offset uncompensated care costs. "If 340B is 'reformed' on the terms PhRMA outlined in its response to the President's blueprint, there will be far fewer hospitals in the program and far fewer seniors eligible as patients in the program," 340B Matters said in its press release. "This would force American senior citizens who currently receive care at 340B facilities to get care at non-340B facilities, where they would pay more out-of-pocket for Medicare Part B drugs. Financial relief on prescription drugs for Medicare Part B beneficiaries would evaporate." A pharmaceutical lobbyist said enough reports and studies have been released to show that some elements of the program "are clearly not working." The manufacturers' lobby will likely push for more stringent reporting requirements for hospitals while protecting grantees like Ryan White AIDS clinics, she added.